A new report rejects claims that diaspora communities often breed violent, homegrown terrorists, saying such groups actually want to counter extremism among members and should be courted. The research was ordered by the Harper government, whose pre-election policies last year strained relations with Muslim communities. Canada's immigrant communities are not breeding grounds for terrorists, as some would argue, but should be enlisted to reduce any violent radicalization in their midst, says a newly released report. The research, ordered by the Harper government in 2014, appears to repudiate Conservative measures that alienated Muslim communities in the months before last year's election. Phil Gurski, a former CSIS analyst, says trust between Muslim communities and security officials was damaged by Harper government measures last year. 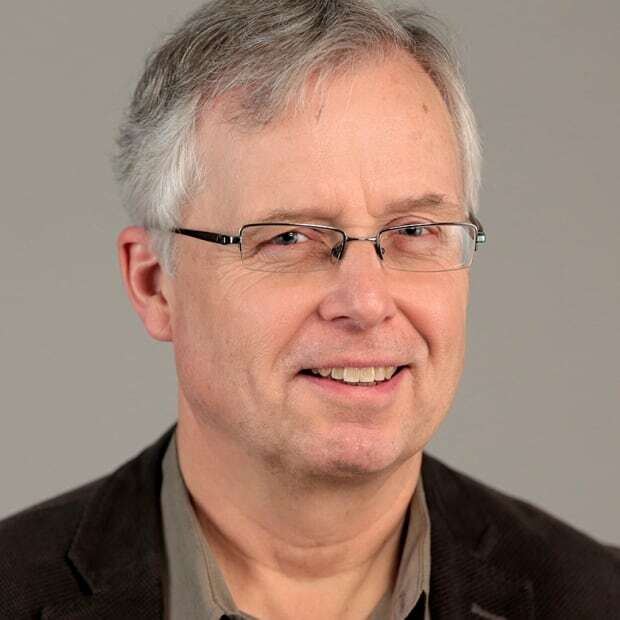 (Phil Gurski)"More resilient diaspora communities represent the best line of defence against violent extremism," says the March 30 report, obtained by CBC News under the Access to Information Act. "Diasporas are not a threat, as some of the mainstream discourse on counterterrorism has often implied, but rather Canada's most valued asset in the fight against terrorism." 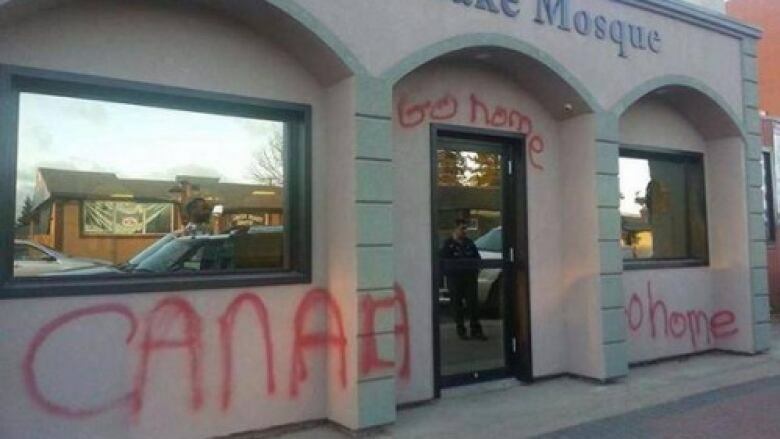 The authors found a mutual distrust between these communities and security agencies, driven partly by news media and academics who have "framed diaspora communities as partly complicit in terrorist activity, a source of threat for host countries like Canada." "It has fostered suspicion and even discrimination against certain diaspora groups." "Dispelling Islamophobia and other forms of discrimination should be a centrepiece of any community engagement strategy surrounding anti-radicalization, as it has fuelled distrust of the state and wider Canadian society in Muslim diaspora communities." Former Canadian Security Intelligence Service analyst Phil Gurski, a specialist in homegrown radicalization, applauded the findings, saying they can help restore the balance between "hard security" — surveillance, arrests and charges — and "soft security," or building trust within ethnic communities. "We had the balance fairly good a couple of years ago, and then some unfortunate things happened towards the end of the Harper government that kind of maligned the trust we had built with communities and put us back a few steps," Gurski said in an interview. Among those setbacks was the government's removal of Hussein Hamdani in April 2015 from the Cross Cultural Roundtable on National Security, after a Quebec blogger alleged Hamdani harboured terrorist sympathies. The removal resulting from "baseless allegations" was "the biggest blow to the government's relationship with the Muslim community," said Gurski, who was Hamdani's colleague and friend. "It had a chilling effect." 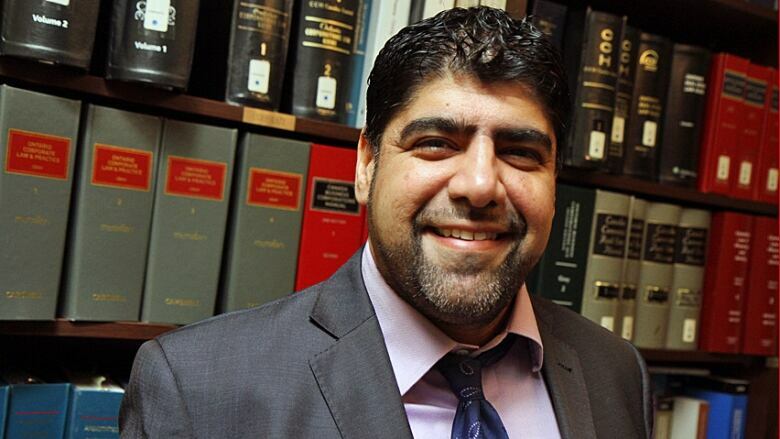 Hussein Hamdani, a Hamilton-based corporate and real estate lawyer, was removed last year from the Canadian government’s Cross-Cultural Roundtable on National Security after unsubstantiated allegations by a blogger. The removal soured relations with Muslim communities. 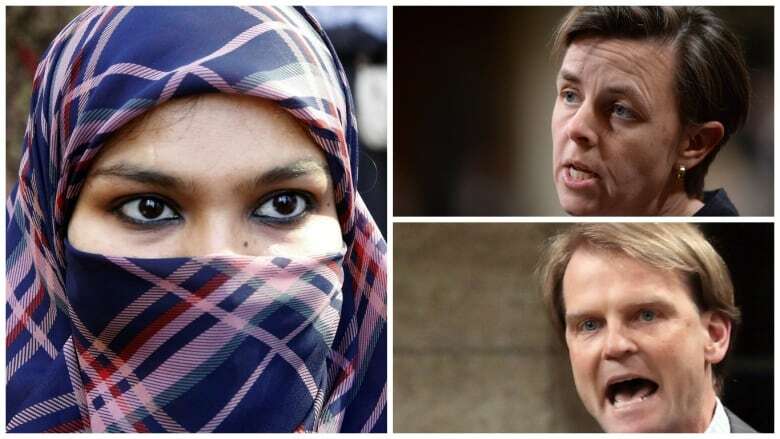 (Adam Carter/CBC)The incident was followed by last summer's niqab controversy, in which the Harper government pressed to have Muslim women remove their face covering at citizenship ceremonies, and the Oct. 2 announcement by Conservatives Kellie Leitch and Chris Alexander of a "barbaric cultural practices tip line," allowing citizens to call RCMP anonymously with allegations about their neighbours. 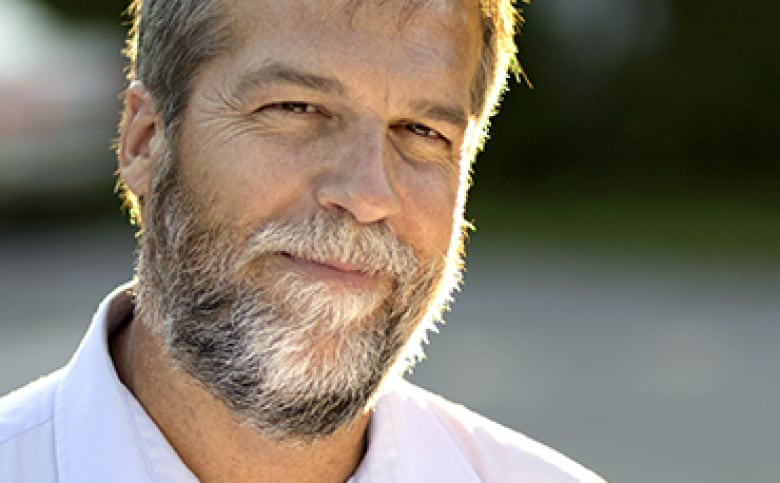 Gurski, who was a CSIS officer from 2001 to 2013 and then with Public Safety until retirement last year, said it's not too late to rebuild trust. "The communities are willing to play ball again, despite the disappointments they had toward the end of the Harper government," he said. Sara Thompson, who teaches criminology at Toronto's Ryerson University, said the report's findings parallel her own work with the Canadian Network for Research on Terrorism, Security and Society. "Our findings are remarkably consistent: on the whole the communities under examination should not be viewed as 'suspect' but rather as important allies in efforts to prevent radicalization," she said. "Community-based tripwires are often activated via a concept known as 'leakage' — the tendency among radicalized individuals to broadcast their views and intentions to commit violent acts in advance, typically to friends, family, acquaintances and/or community members." Kellie Leitch, top right, Chris Alexander, bottom right, announced the Conservative Party's plans to create a barbaric cultural practices tipline during the past election campaign. The move followed the government's unsuccessful legal battle to prevent Zunera Ishaq, left, from wearing a niqab at her citizenship ceremony. (Canadian Press)The Trudeau government campaigned last year on a promise to create an Office of the Community Outreach and Counter-radicalization Co-ordinator, working with provinces and others to build bridges to Canada's ethnic communities. The federal budget in March promised $35 million over five years for the office, but nothing more has been announced. A spokesman for Public Safety Minister Ralph Goodale said $3 million has been reserved to create the office this fiscal year. "Work is at an early stage of development, but we will be informed by entities like the successful models in Calgary and Montreal," said Scott Bardsley, referring to deradicalization centres in those two cities.